As we’re already jumping headstrong into festival season, it’s time for another festive announcement. 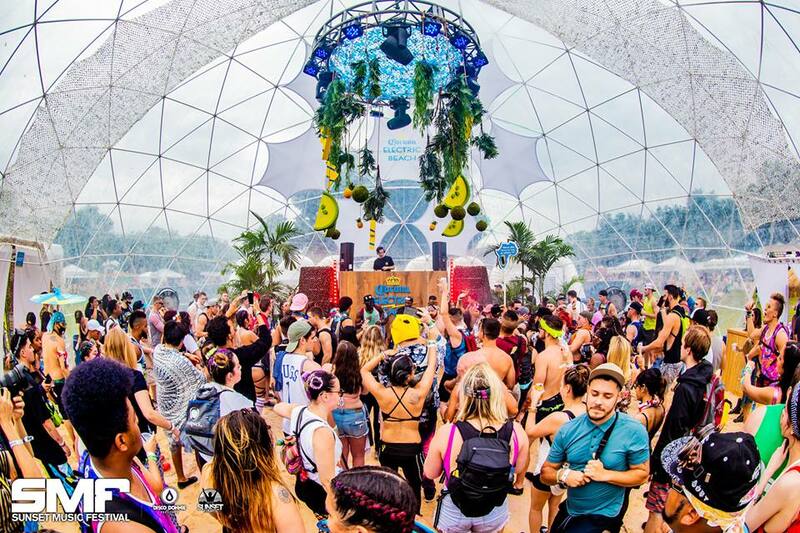 Florida’s beloved Sunset Music Festival is scheduled to make its return to Tampa this Saturday, May 25 and Sunday, May 26, 2019. Filling the Sunshine State this Memorial Day Weekend with adrenalizing bass, wompy thuds, heavenly trance, and good vibes all around, Sunset Music Festival returns for its eighth consecutive year. Year after year the now-prominent fest has grown from a mere 5,500 attendees to an impressive 60,000+. Last year’s all-star lineup included Marshmello, Excision, 3LAU, Alan Walker, Bonnie x Clyde, Boogie T, Boombox Cartel, Borgore, Crankdat, Ekali, Herobust, Illenium, Joyryde, K?D, NGHTMRE, REZZ, Slander, Space Jesus, and many more. The 2019 Phase I roster includes: 12th Planet, Alison Wonderland, Audien, Bonnie x Clyde, Chris Lake, Destructo, Dog Blood (Skrillex x Boys Noize,) Dombresky, Fisher, Flux Pavilion, Gabriel & Dresden, Gammer, Ganja White Night, Getter, Ilan Bluestone, Kaskade (sunset set,) Lick, Liquid Stranger, Matt Zo, OMNOM, Peekaboo, Rusko, Said The Sky, Steve Darko, Subtronics, Walker & Royce, Weiss, and Will Clarke. We’re also stoked to announce stage takeovers by Anjunabeats and Deadbeats for a tasteful evening of trance and a hard-hitting session of bass. Topped with handfuls of wild and rowdy after parties in tow, the entire SMF weekend experience is one you definitely want to immerse yourself in. The Florida EDM crew certainly brings the heat and knows how to party – from sun soaked beach shows filling Miami to the deep bass scenes of Tampa, it’s a group everyone can get down with. Located at the city’s Raymond James Stadium, they’ve found the perfect playground for all the SMF festivities. Running around with your crew under the sun, going from stage to stage to experience each unique design, getting lost in the massive crowds and showing off your dance moves – what more could you ask for? Tickets for SMF 2019 are now on sale so don’t sleep on your chance to scoop those early bird specials. For full details and purchase info, visit smftampa.com .